Avengers: Infinity War hardly feels like a single movie with everything packed into it, and that’s why it’s gonna take the .HTML guys three episodes to discuss it! Explore the elements that carry from the groundwork films! Discover the complexity of the chronology! Listen as the husbands bemoan the endless barrage of baddies bashing our heroes! Nico is positive about GUARDIANS AND DOCTOR STRANGE?! Kevo allows for robot-love despite no gay-love?! Is this even HTML?! Sure is! 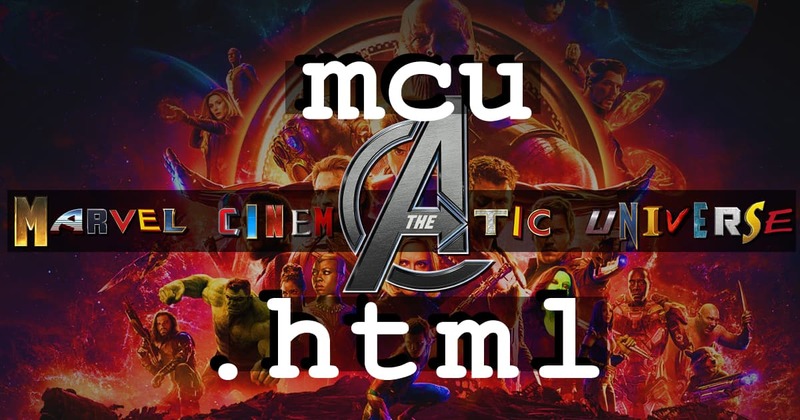 This is Avengers: Infinity War on mcu.html!